New Acura owner here...proud to join the family and forum. - TLX 2.4 with 8speed is the better transmission. My 328i ZF was good but this thing is great. - TLX has a lot of parts from Honda. The sunroof handle thingy feels exactly the same as my 2001 Accord. - Acura should have shown the tailpipes, hiding the dual pipes was a weak move by the to get someone to spend more IMHO. It’s 2019. I loved my 328i and even extended the warranty as long as I could, but didn’t want to own a bimmer out of warranty. For reference, I got my 2019 for $25,900 + tax. Debated going to the v6 but the comments on the 9speed turned me away. That’s all I can think of so far - see you around the forums! Nice write up. Welcome to the forum. I've never driven a Bimmer to compare to the TLX, but I think you hit a lot of nails on the head regarding the TLX after driving mine and several loaners over the last year. 2.4L/8DCT is a nice package. I could agree with every one of your bullets. I hope you agree with yourself after a couple years and some mileage to break it in. Congrats and welcome aboard! No car is perfect and I agree - the TLX is a great value and checks a lot of the boxes for many people as long as you're not looking for a true sports car. Welcome to AZ! Strong first post on the forum. I agree on the spare tire thing. I purchased the kit for around $300. In hindsight I should have gone to a junk yard and get the spare tire and jack from a TL for much less but I'd lose the foam insert for the tools. Thank you you for the reply - enjoying the TLX and the forums for sure. See you round the forum! Thanks bro. See you ‘round the forum! Thank you you for the reply - enjoying the TLX and the forums for sure. See you ‘round the forum! Two things: (1) swapping the tires for something on the order of Michelin Pilot Sport A/S 3+ tires will dramatically improve the handling and stability of the car. (2) I have the SH-AWD and have driven the 2.4 as loaners, and the SH-AWD is much more planted on the highway even though slightly less nimble at slow speeds. Thanks. I checked and it looks like Acura put on some normal, albeit eco friendly, tires on the car. My F30 had continentals that gripped very well. The rubber is brand new and I don’t mind them, will hold off replacing them, but thanks! 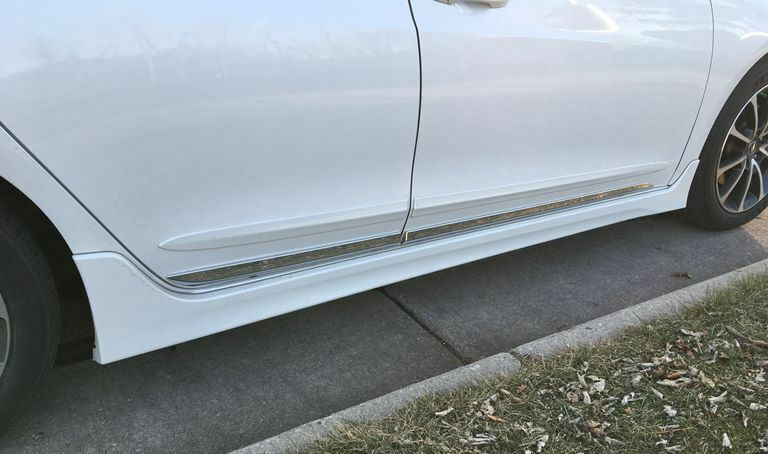 The stock rubbers on the TLX are hot garbage, both the 2.4 and 3.5 models. I got rid of my stock Potenzas at about 30-33k miles, but probably should have gotten rid of them sooner, they were noisy at 15k miles. Went with the Michelin Pilot Sport A/S 3+ and haven't regretted. Not the cheapest tire in the world, but very good value for the money (though I have heard cheaper alternatives such as a set of tires from BFGoodrich.) Great tires, probably have about 20k miles on them now and they're still just as quiet as they were day one. Like dezymond said, both OEM tires were almost universally panned as hot garbage according to forum users (including me) and magazines. Lots of feedback available on forum regarding good replacements (my Michelin Premier A/S are pretty good). I have to agree with your original post and your reiteration here too. I learned TLXs didn't come with a spare well after I bought mine and started hanging out on the forum. I checked the trunk and sure enough, my previous owner didn't spring for the optional one. Ever since learning that, I feel like I'm at risk when I go on extended road trips to remote places - which, mind you, are abundant here in the Midwest, especially the Upper Peninsula. It feels like driving without insurance. I get the rationale. Acura says most people will never need it and many of those who will cannot use or have never used a jack, lug wrench and spare. They also say it has become more unsafe than ever do so safely on the side of the road. I also think unused Mickey Mouse spares go neglected in trunks for their whole lives. No one replaces them, checks tire pressure, checks for dry rot, anything, so who knows if they're even ready for duty when called upon? Again, I get the rationale. And while I haven't had a flat or needed a spare in over 20 years of driving, I still wish my car had one, even if I never need it, simply to know I have a contingency backup on board. I hope I never have to make that call to Acura Road Side Assistance and wait for help. Run flats are the only other good option to not having a spare. I had those on a car once and found they are a) expensive b) ride very roughly and c) are very noisy. That was true for my set at least. I think they were Bridgestone DriveGuard. I hated them and took them off after like 20k miles, well before they were worn out. I was always skeptical they would work when I needed them anyway. They only work for punctures and slow leaks anyway, not blowouts, best case is 50 miles in order to reach help. Last edited by someguy11; 03-27-2019 at 06:42 AM. Well put! I love the tint on your TLX (pic from profile). What tint level is it? Full disclosure: profile pic isn't my car. It was the closest resemblance of mine I could find before I took this pic last fall. I'm not tinted. Ahhhh... man yours is so slick... are those stock aero body kit panels? This thread is about you, not me, but thanks Beached. I love hearing that (like any owner probably). Yeah, stock TLX aero kit, body side molding and chrome door trim. I bought it used, so I didn't pick any of this stuff. As I was researching TLXs and shopping specifically for SH-AWD Advance versions, which are rare, along comes this one with those appearance accessories. The day it was listed, I went to test drive and basically told the dealer to shut up and take my money. Typically, as far as I can tell, buyers choose one of those three accessories. A few forum members got both the aero and side molding. I can't find anyone else with all three. The first time I pulled up to my wife, she goes, "Nice car. What's with all that 'stuff' down there?" pointing to the door sill. I've always wanted to ask forum members if it's too much, but I'm afraid of the answer. Would love to hear what other cars you were looking at and how did you end up deciding on the TLX. So I just normally get whatever entry-level luxury sedan is the best deal - I love cars but they are depreciating assets, and I get to write off the lease with my business. 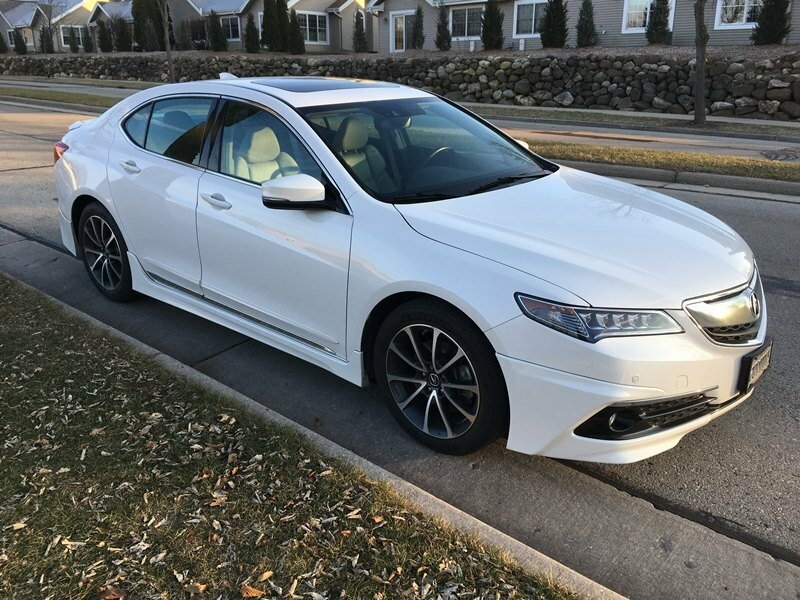 The TLX has great reviews, we’ve owned many Honda products and I got mine for less that an Accord LX leases for, and $110 less a month than the bimmer cost. So to me the Acura TLX won due to a mix of luxury, safety, brand/badge perception and driving pleasure. I agree with your assessment, as a very happy 2.4 Elite ASpec owner. I would add that with the equipment and features I have for what I paid, it simply trumps the roughly equivalent Audi, Mercedes, and BMW products. They all are excellent cars with things I like and other things, not so much. Thanks bro. Your A-spec in your profile picture looks sick! Well done! 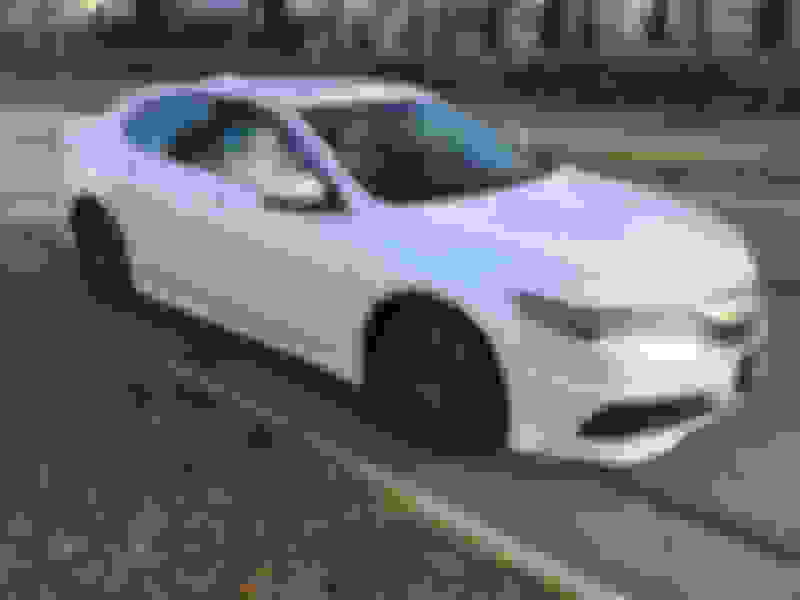 F30 Owner Going for a TLX Test Drive: What Pitfalls Should I be Looking for?